Doing it big, Nevada hit the jackpot in 2017 and is rolling in the green thanks to cannabis. The state collected $200M in cannabis sales from July-December of last year. In just their first six months of legal recreational cannabis sales, they have pulled $30 million in taxes to the state revenue. Way to go Nevada! With so many tourists coming to play in the state it also gives Nevada other bragging rights. Bragging rights that they have the most massive new customer base in the cannabis sector! What happens in Vegas, doesn’t always stay in Vegas. People who try cannabis for the first time there tend to love it and want it at home. This will help change the perception of marijuana and support its acceptance nationwide. We need to stop demonizing cannabis. Why do people support cannabis prohibition when the truth is evident? Is it that hard for people to admit they were misinformed? The only reasons for the continued support of cannabis prohibition must be financial. Please if you oppose cannabis do it loud and proud, so we know who you are. The industry employing nearly a quarter of a million Americans wants to see who you are. CannaLance loves cannabis. Others do too. We know we’re not alone. We also know that “the truth is out there,” at least when it comes to cannabis. It’s great to see that major and credited media sources are starting to cover cannabis in a good way. Major news networks like ABC, CBS, and NBC have all covered cannabis, and for a change, it wasn’t in a bad likeness. Forbes, Time, History, Rolling Stones and many others have been a powerful tool for cannabis too. They’ve helped show how the public supports cannabis and the revenue created from legal cannabis. While certain bought and paid for government officials in America would like for you still believe the Reefer Madness propaganda of yesteryear, it’s not happening. People aren’t falling for that crap anymore. Here are some anti-cannabis propaganda statements made by everyone from government officials and groups like D.A.R.E, to folks like former U.S President, Ronald Regan. Smoke a joint and you will kill your brother. Marijuana cause as much brain damage as an atomic blast. Smoking pot will make you lazy. Pot is the gateway drug to hard drugs like cocaine and heroin. Don’t use marijuana, drugs kill. Bwahahahahahahahahahahahahahahah, what lies! The truth is more like cannabis is a miracle plant. It has ZERO deaths ever linked directly to it in human history. It can also inhibit and kill cancer cells. Your body can’t make phytocannabinoids (plant-based cannabinoids) on its own. Every mammal has an endocannabinoid system with receptors that work with cannabinoids found in cannabis like THC, CBD, CBG, CBN, THCa, and others. Nevada listened to the people who live there. The elected leaders there put their personal feelings aside and listened to their constituents. Something amazing happened because of this. You might say Nevada hit a jack-POT. The state has had a bumpy ride to cannabis legalization. Now they can reap the benefits of future generational wealth for the state of Nevada for decades to come. Schools, health care, and the citizens benefit from the winner-winner-chicken-dinner known as cannabis legalization in Nevada. Way to go Nevada, you hit a JackPOT! 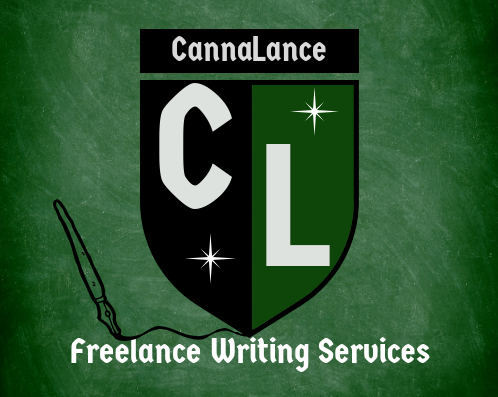 CannaLance: First, can you give the audience a brief on your story leading up to now? Katree: My name is Katree Darriel Saunders, I’m a mother of 4 boys, and I’m a medical cannabis patient. I’m also the Founder and CEO of Kannabis Kouture located in Las Vegas Nevada. I’ve been in the medical cannabis community since 2007 here in Las Vegas, NV. Currently, I work for the + source in NV, as a Patient Adviser. As a medical cannabis patient and cannabis patient advocate, I started the clothing brand Kannabis Kouture to raise awareness. To help educate the community on the positive benefits of medical cannabis and enlightenment of our endocannabinoid system. I was set up by the DEA in 2011 after asking President Obama about medical cannabis patients’ rights before the legalization of cannabis. At the time, I was helping patients get set up legally in our Nevada state program which was implemented in the year 2000. I helped over 800 patients and protected them from the government when I was indicted for Operation Chronic Problem. I violated probation for medical Marinol use and went to prison for four months. As a result, my husband divorced me and took my car and my kids making me homeless for a while just for being a medical cannabis patient. I now use my knowledge and experience to help people legally. Nevada is now an entirely legal state with dispensaries located throughout that sell cannabis products to both medical patients as well as recreationally to adults 21 and older which started in 2018. Fast forward a few years after prison, and thankfully I was able to get back into the industry. Now I’m a Patient Advisor at the Source NV. I also work in reception, vault, and cultivation as well! You could say, I’m a Jill of many trades lol. I am now working with Americans for Safe Access and will be lobbying In Washington DC in May. CannaLance: What are the most popular cannabis products that you see being sold? Katree: Highly Edibles Gummie Pucks, CBD tinctures! Vape pens, balms, and lotions are popular as well. CannaLance: Tourism was a hit in 2017 for Vegas with close to 40 million visitors. Do you see a good portion of tourists visit where you work? Katree: Yes, tourism is a very active market in Las Vegas. CannaLance: In your opinion, what’s the must-have, got to buy cannabis product right now in Vegas? Katree: Definitely must try the infused Incredibles Chocolate and even RSO is a fan favorite. CBD, CBD, CBD. Lol good for that VEGAS hangover! CannaLance: Have you noticed a change of any sorts since Vegas legalized recreational cannabis? Katree: Yes, prices went up in the first months of recreational cannabis! The prices have gone down, and we are seeing a better quality of flower with cultivators getting the hang of growing such a large quantity of cannabis indoors! Also, more people wanting to get on the medical cannabis program! They realize they are a Patient! This is also a better option than pills! CannaLance: How much on average does a gram, an eight (3.5 grams), a quarter (7grams), and an ounce (28 grams) cost in Vegas, budget VS balla status? CannaLance: The floor is yours for this one to say anything about the plant we love so. What would you like to tell the readers about cannabis? Katree: Medical cannabis has changed my life for the better! I’m almost four years pill free from benzodiazepines and opioids! My quality of life is so much better! I’m happy again and doing what I love! What I love is, helping people understand the benefits of cannabis and providing proper education to the community! It’s important to me that people understand that they have an endocannabinoid system that needs to be nourished. Cannabis works as medicine! I control my chronic pain and Fibromyalgia and nerve damage with just medical cannabis! Cannabidiol has replaced all my Xanax, Valium, Morphine, and Lortab. It is such a better quality of life than pharmaceuticals! Previous Cannabis Is Worth How Much?